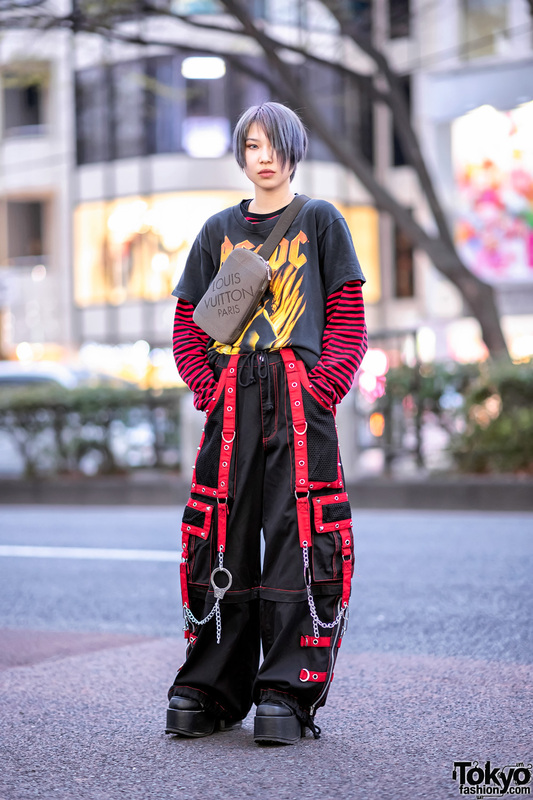 Here are two stylish 16-year-old Japanese girls who we are always happy to see around Harajuku – Juria and Mayupu! On the left with pink hair is Juria Nakagawa, a fast-rising personality in the Harajuku street fashion scene. 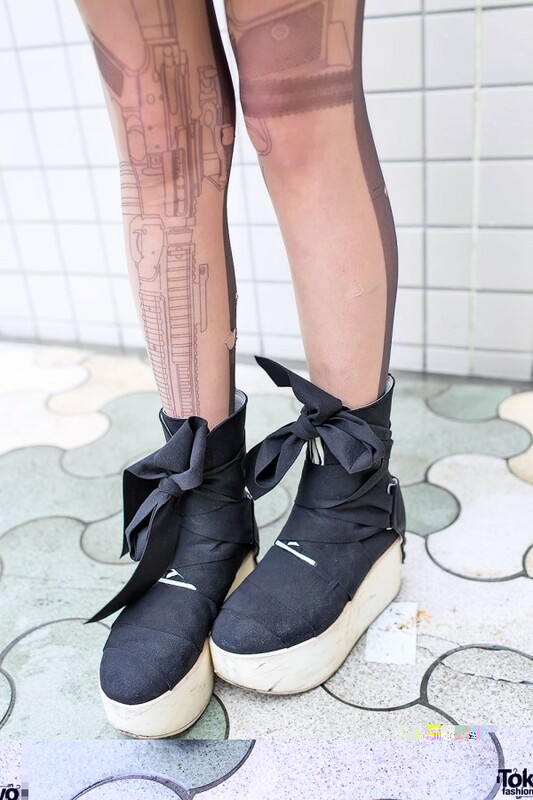 Juria is wearing a black sheer top-and-skirt with machine gun stockings and Tokyo Bopper platform shoes. If you’d like to see more, Juria posts pictures on her personal Twitter & Tumblr. On the right is the always-awesome Mayupu wearing a cropped denim jacket over a long peace-symbol top, mini-skirt, graphic stockings, and cute Mary Janes. 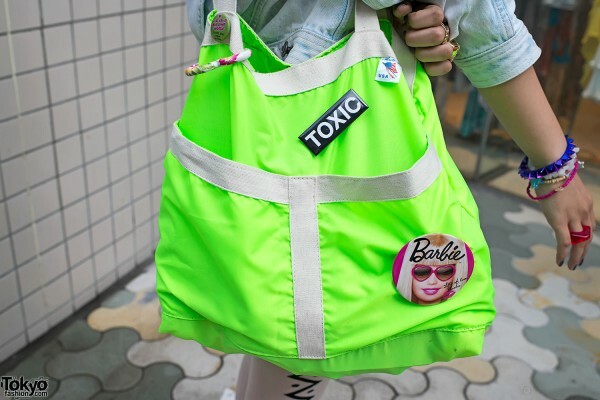 Her bright green bag features several buttons including “Barbie”, “Toxic”, and “I live in my own world. It’s ok, they know me here.” Mayupu is active on Twitter and she can speak English, so you might want to follow her! 16!!!!!!!! wow they look mature. love theyre eye lenses! I’ve been waiting for a Mayupu post since forever! she’s so gorgeous and i love her style!!! !